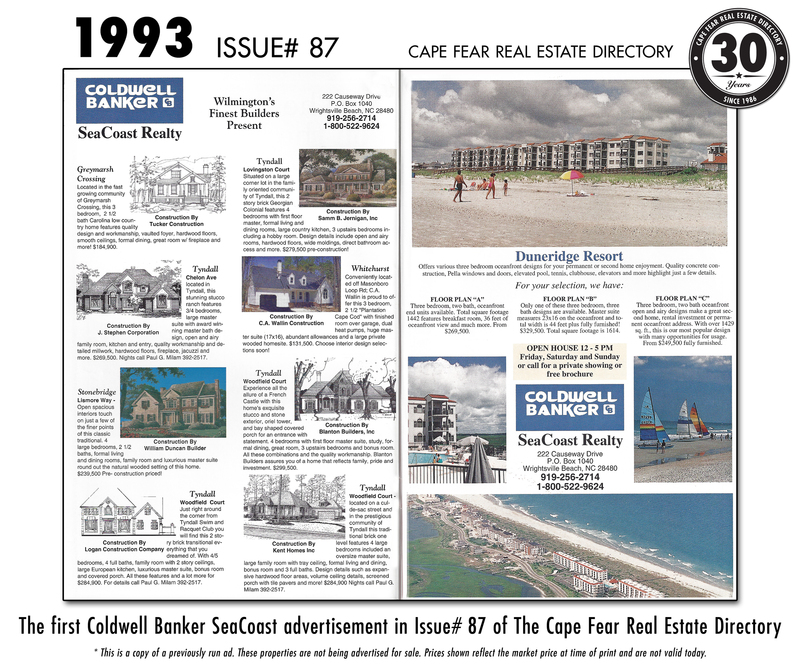 When they first ran in 1991 they had one office in Wrightsville Beach. 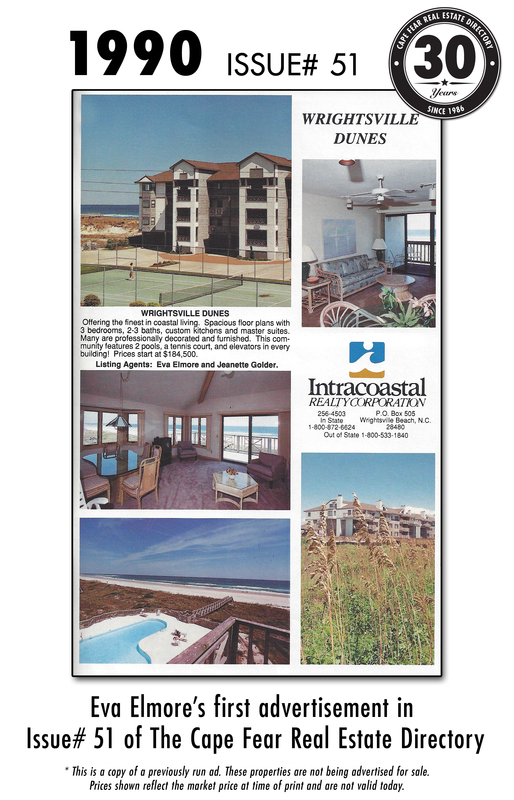 Since then the company has grown to being staffed by more than 450 real estate agents in 12 offices in Wilmington, Leland, Jacksonville, Carolina Beach, Topsail Island, Hampstead, Southport, Sneads Ferry, South Brunswick, Oak Island and Holden Beach. 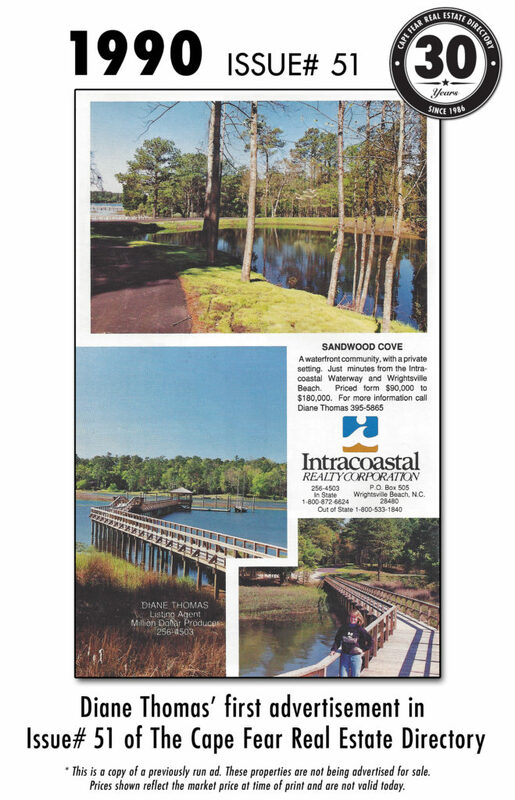 We are grateful to still have the pleasure of working with Sea Coast Advantage agents today. 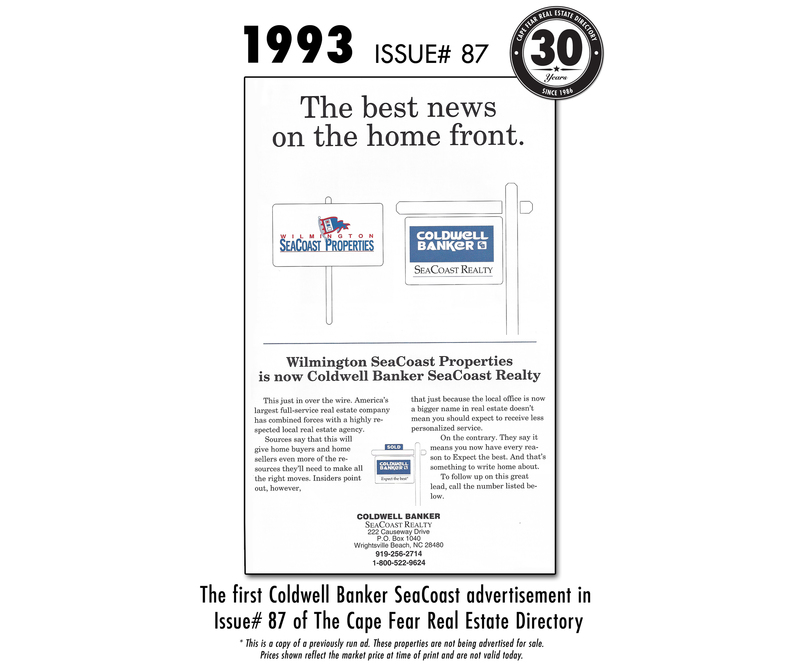 Thank you, Coldwell Banker Sea Coast Advantage for your support throughout the years! 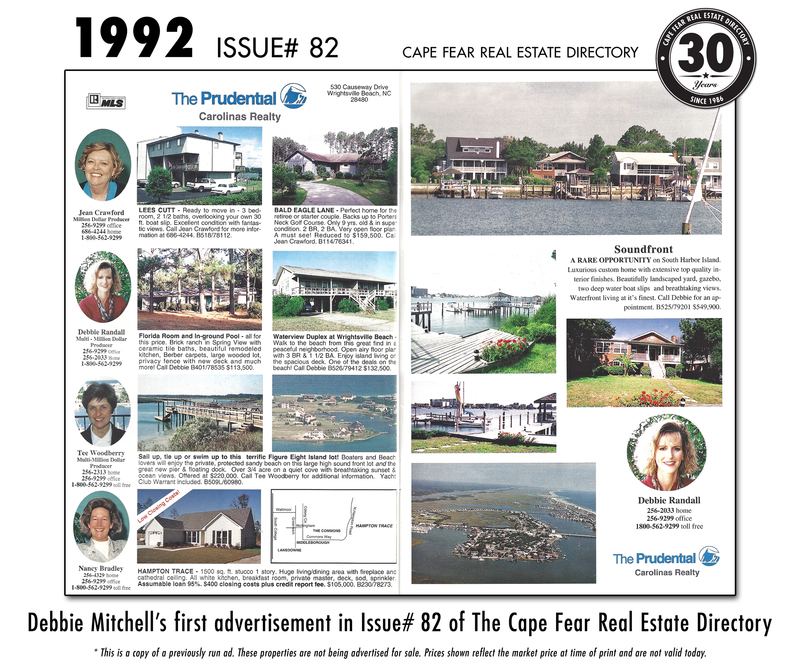 Debbie Mitchell's first advertisement was in the 82nd issue of The Cape Fear Real Estate Directory. She first ran an ad in 1992 and we are grateful to still have the pleasure of working with her today. Thank you, Debbie for your support throughout the years! 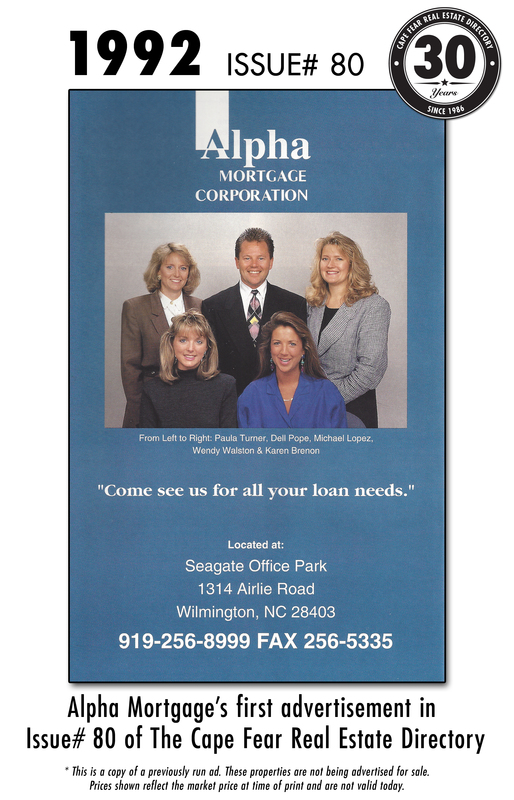 Alpha Mortgage's first advertisement was in the 80th issue of The Cape Fear Real Estate Directory. They first ran an ad in 1992 and we are grateful to still have the pleasure of working with them today. Thank you, Alpha Mortgage for your support throughout the years! Below is their current company photo. There is quite a few more people in the photo then there was 25 years ago. We congratulate them on their growth and success! 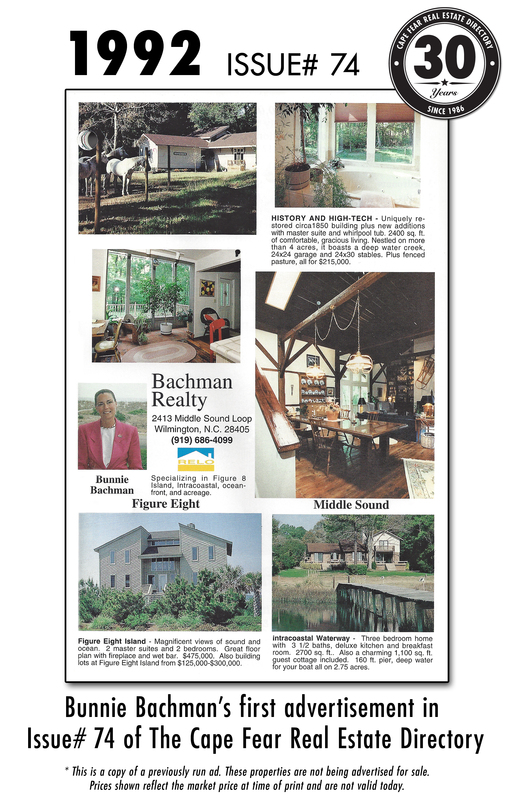 Bunnie Bachman's first advertisement was in the 74th issue of The Cape Fear Real Estate Directory. She first ran an ad in 1992 and we are grateful to still have the pleasure of working with her today. Thank you, Bunnie for your support throughout the years! 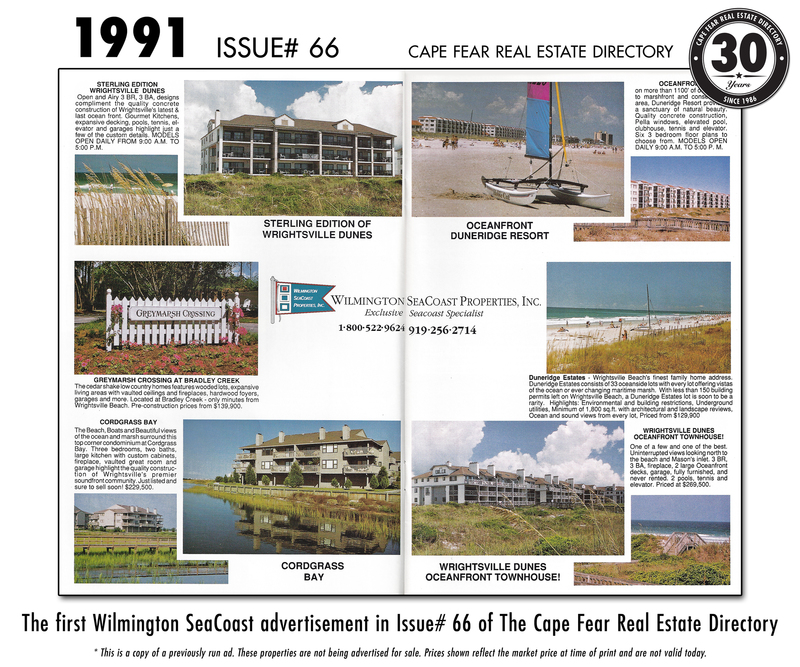 Mark Bodford's first advertisement was in the 68th issue of The Cape Fear Real Estate Directory. He first ran an ad in 1991 and we are grateful to still have the pleasure of working with him today. Thank you, Mark for your support throughout the years! 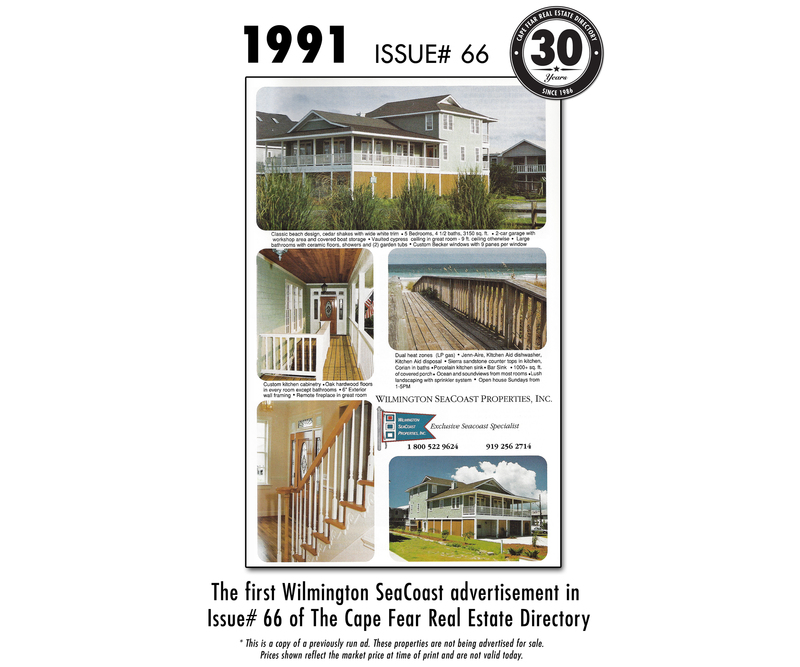 David Eggleston's first advertisement was in the 68th issue of The Cape Fear Real Estate Directory. He first ran an ad in 1991 and continuously ran with us for many years. 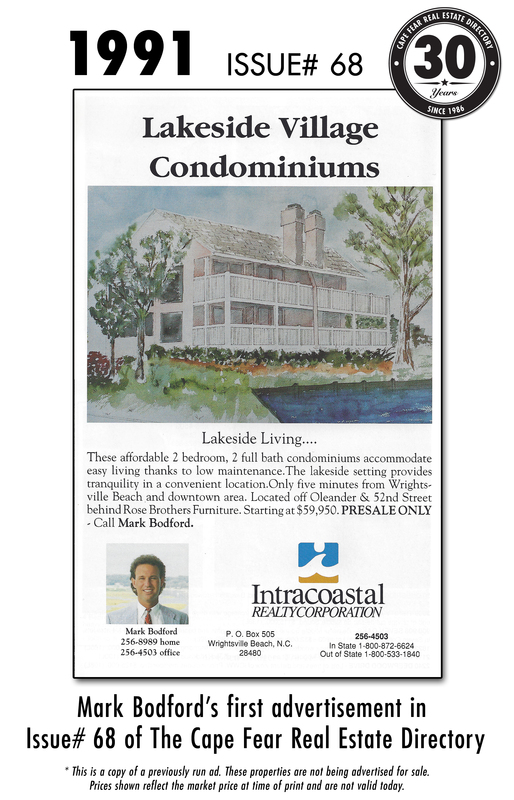 We are grateful to still have the pleasure of working with him today as a Broker-In-Charge at Intracoastal Realty. Thank you, David for your support throughout the years! 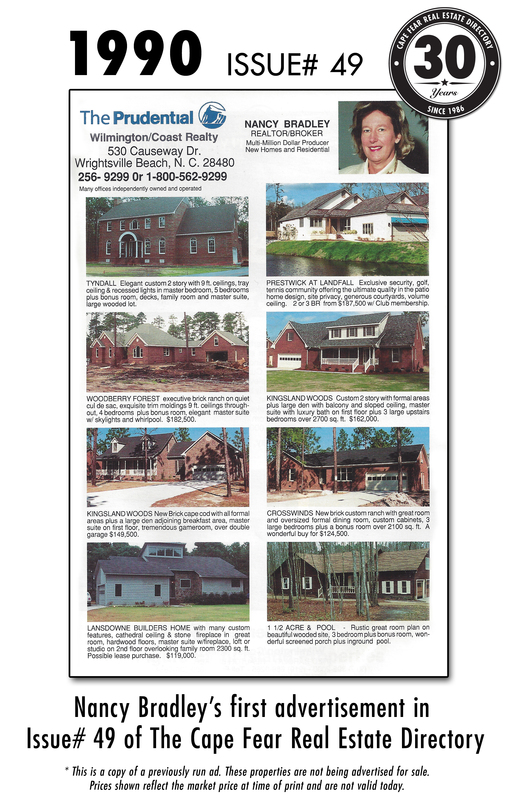 Eva Elmore's first advertisement was in the 51st issue of The Cape Fear Real Estate Directory. She first ran an ad in 1990 and we are grateful to still have the pleasure of working with her today. Thank you, Eva for your support throughout the years! 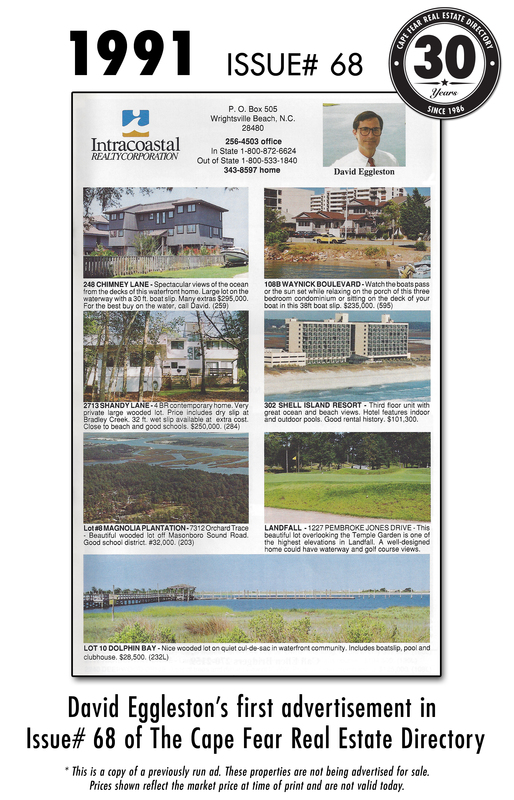 Diane Thomas' first advertisement was in the 51st issue of The Cape Fear Real Estate Directory. She first ran an ad in 1990 and we are grateful to still have the pleasure of working with her today. Thank you, Diane for your support throughout the years! 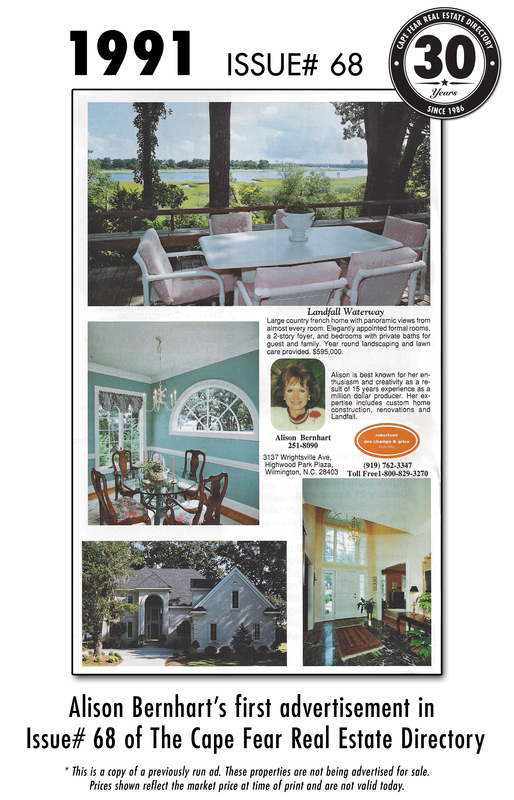 Nancy Bradley's first advertisement was in the 49th issue of The Cape Fear Real Estate Directory. She first ran an ad in 1990 and we are grateful to still have the pleasure of working with her today. Thank you, Nancy for your support throughout the years!